Fluorapophyllite-(K): Mineral information, data and localities. 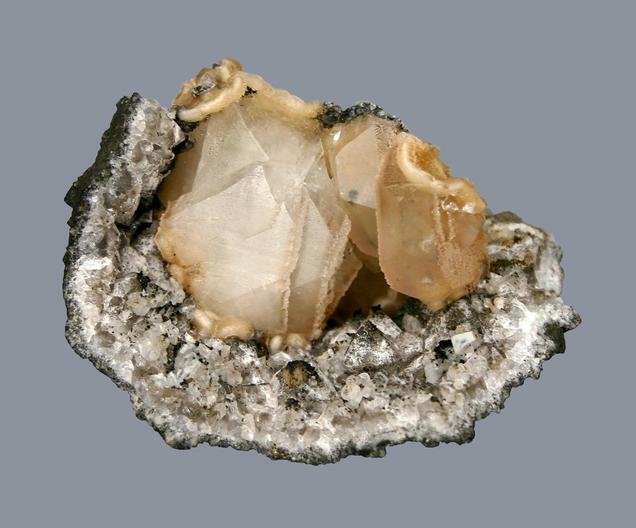 Apophyllite was named in 1806 by Rene Just Haüy from the Greek for "away from" (ἀπό, apo) and "leaf" (φύλλον, phyllos), in allusion to the way it exfoliates upon heating. Chemical variants were recognized by Pete J. Dunn, Roland C. Rouse, and Julie A. Norberg in 1978. The name was revised from apophyllite-(KF) to fluorapophyllite-(K) (Hatert et al. 2013). Stilbite-Ca 662 photos of Fluorapophyllite-(K) associated with Stilbite-Ca on mindat.org. Stilbite subgroup 403 photos of Fluorapophyllite-(K) associated with Stilbite subgroup on mindat.org. Quartz 242 photos of Fluorapophyllite-(K) associated with Quartz on mindat.org. Calcite 143 photos of Fluorapophyllite-(K) associated with Calcite on mindat.org. Heulandite-Ca 86 photos of Fluorapophyllite-(K) associated with Heulandite-Ca on mindat.org. Scolecite 74 photos of Fluorapophyllite-(K) associated with Scolecite on mindat.org. Natrolite 74 photos of Fluorapophyllite-(K) associated with Natrolite on mindat.org. Heulandite subgroup 73 photos of Fluorapophyllite-(K) associated with Heulandite subgroup on mindat.org. Prehnite 50 photos of Fluorapophyllite-(K) associated with Prehnite on mindat.org. Chalcedony 48 photos of Fluorapophyllite-(K) associated with Chalcedony on mindat.org. 9.EA.70 Ajoite (K,Na)Cu7AlSi9O24(OH)6 · 3H2O Tric. 72.3.1.3 Fluorapophyllite-(Na) NaCa4(Si8O20)F · 8H2O Orth. American Mineralogist (1971) 56: 1234-1242. Dunn, P.J., Rouse, R.C., and Norberg, J.A. (1978) Hydroxyapophyllite, a new mineral and a redefinition of the apophyllite group. American Mineralogist 63, 196-202. Dunn, P.J. and Wilson, W. E. (1978) Nomenclature revision in the apophyllite group: hydroxyapophyllite, apophyllite, fluorapophyllite. Min. Record 9, 95-98. Birch, W.D. 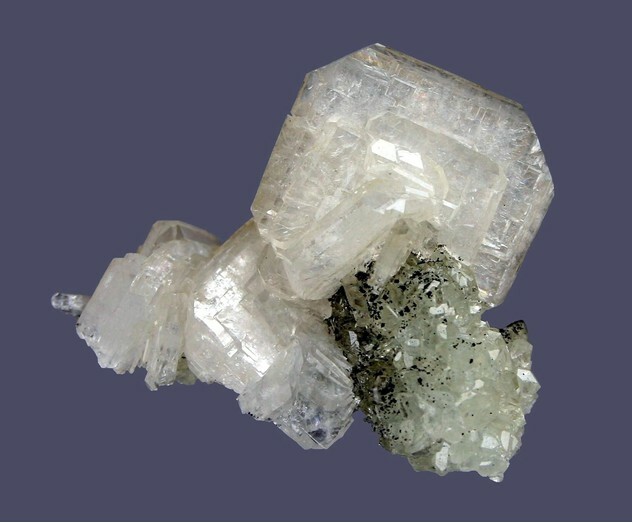 (1983) Babingtonite, fluorapophyllite and sphene from Harcourt, Victoria, Australia. Mineralogical Magazine, Sept. 1983, 47, 377-380. American Mineralogist (1992) 77: 1119. Hatert, F., Mills, S.J., Pasero, M., and Williams, P.A. (2013) CNMNC guidelines for the use of suffixes and prefixes in mineral nomenclature, and for the preservation of historical names. European Journal of Mineralogy 25, 113-115. F. Aumento and C. Friedlaender (1966) "Zeolites from North Mountains, Nova Scotia", Symposium on Zeolites, Mineralogical Society of India, International Mineralogical Association, Fourth General Meeting, 149-154. Amabili, M., Spertini, F., Auguste, M. B., and Bonin, G., (2009) Famous Mineral Localities: The Lac D'Amiante Mine, Back Lake, Thetford Mines, Quebec. Mineralogical Record 40(4) 297-304; László Horváth (p.c., 2003). Žáček, V., Fišera, M.: Prehnit – apofylitová žíla z Vlastějovic. Bulletin mineralogicko-petrografického oddělení Národního muzea v Praze, 2001, roč. 9, s. 316-318. Ulrych, J. et al. (2000): Tertiary phonolite laccolith of Mariánská hora hill, N. Bohemia: geological, petrological and mineralogical characteristics. Acta Montana IRSM AS CR, series A No. 15 (116), p. 5-44. Leconte J. (2015) La carrière de Montboissier, Brousse, Puy-de-Dôme. In ʺLa revue des Micromonteursʺ n°23 – p.33-54. Queneau Patrice collection; Boisson, J.-M. & Leconte, J. (2014): Analyses 2012-2013 MNHN-MICROMONTEURS. La revue de Micromonteurs, 21. Dufrénoy M. (1836) Sur l’apophyllite du Puy-de-la-Piquette en Auvergne. Annales des Mines 3-9: 171-172.
various added photos - Muhammed F. Makki & Sami Makki, "Green apophyllite from Bidkin, Aurangabad, India", Mineralogical Record Vol. 39, No. 4 (July - August) 2008 pp 267-273. This reference does not specify the variety of apophyllite, however the majority from Aurangabad appear to be Fluorapophyllite-(K). Jacques Malasse specimen; Fassi Makki locality ID. Stoppa F., Scordari F., Mesto E., Sharygin V.V. and Bortolozzi G. - Calcium-aluminium-silicate-hydrate "cement" phases and rare Ca-zeolite association at Colle Fabbri, Central Italy (2010). Centr.Eur.J.Geosci. 2 (2), pag. 175-187 .; Stoppa, F., & Schiazza, M. (2014). Extreme chemical conditions of crystallisation of Umbrian Melilitolites and wealth of rare, late stage/hydrothermal minerals. Central European Journal of Geosciences, 6(4), 549-564. Carlo Cassinelli infrared spectrum (unpublished data); Stoppa, F., & Schiazza, M. (2014). Extreme chemical conditions of crystallisation of Umbrian Melilitolites and wealth of rare, late stage/hydrothermal minerals. Central European Journal of Geosciences, 6(4), 549-564. 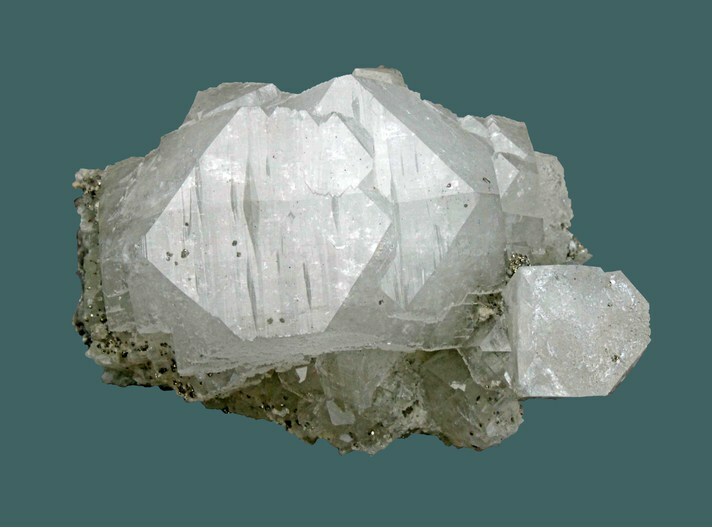 Praszkier, T. (2010): Calcite and Zeolites from Sambava,Madagascar. Mineralogical Record 41, 239-252. Petersen, O.V., Fockenberg, T., Toft, P.C. & Rattay, M. (1997): Natrophosphate from the Aris phonolites, Windhoek, Namibia. Neues Jahrbuch für Mineralogie, Monatshefte 1997, 511-517; Uwe Kolitsch (structure refinement from single-crystal X-ray diffraction data; R = 1.8%, F-site occupancy: 1.00); [http://www.koeln.netsurf.de/~w.steffens/aris.htm]; Chukanov, N. V.; Britvin, S. N.; Blass, G.; Belakovskiy, D. I.; Van, K. V. (2012): Windhoekite, Ca2Fe3+3-x(Si8O20)(OH)4•10H2O, a new palygorskite-group mineral from the Aris phonolite, Namibia. European Journal of Mineralogy 24, 171-179.; Blaß, G., Kolitsch, U., Tremmel, G., Esche, J. (2016): Neue Mineralienfunde aus den Phonolithbrüchen von Aris in Namibia. Mineralien-Welt 27 (4), 48-60 (in German); Kolitsch, U., Blaß, G., Jahn, S., Cámara, F., von Bezing, L., Wartha, R. R., Tremmel, G., Sturla, M., Cerea, P., Skebo, M. and Ciriotti, M. E. (2016): Aris - mineralogy of the famous alkaline phonolite. AMI - Associazione Micromineralogica Italiana, Cremona, Italy, 95 pp. Larsen, A. O. (ed.) (2010): The Langesundsfjord. History, geology, pegmatites, minerals. Bode Verlag Gmbh, Salzhemmendorf, Germany, 240 p.
Svein A. Berge collection/observation 2006. WŁODYKA R., BZOWSKA G., WRZALIK R. (2004): The thermal behaviour of fluorapophyllite from the Międzyrzecze sill near Bielsko-Biała in the Polish Carpathians. Neues Jahrbuch für Mineralogie Monatshefte No 8, 337-356. P.M.Kartashov data; Azarova, Y. V., Shlyukova, Z. V., Zolotarev Jr, A. A., & Organova, N. I. (2009). Burovaite-Ca,(Na, K) 4Ca2 (Ti, Nb) 8 [Si4O12] 4 (OH, O) 8· 12H2O, a new labuntsovite-group mineral species and its place in low-temperature mineral formation in pegmatites of the Khibiny pluton, Kola Peninsula, Russia. Geology of Ore Deposits, 51(8), 774-783. Pekov, I.V. & Podlesnyi, A.S. (2004): Kukisvumchorr Deposit: Mineralogy of Alkaline Pegmatites and Hydrotermalites. Mineralogical Almanac, vol. 7, 140 pages + xxiv photo's pages; Krivovichev, S.V., Pakhomovsky, Ya.A., Ivanyuk, G.Yu., Mikhailova, J.A., Men’shikov, Yu.P., Armbruster, Th., Selivanova, E.A., Meisser, N. (2007): Yakovenchukite-(Y), K3NaCaY2(Si12O30)(H2O)4, a new mineral from the Khibiny massif, Kola Peninsula, Russia: A novel type of octahedral-tetrahedral open-framework structure. American Mineralogist, 92, 1525-1530. Neues Jahrbuch für Mineralogie, Monatshefte (2003): 10: 461-480. Heron, H.D.C. (1985). Identification of Clairwood apophyllite as fluorapophyllite. Micro News and Views, 12(1); Cairncross, B. & Dixon, R. (1995). Minerals of South Africa. Geological Society of South Africa: Linden; Heron, H.D.C. (1996). The occurrence of apophyllite at five KwaZulu-Natal localities. Micro News and Views, 23(1): 3-6. Cairncross, B. and Dixon, R., (1995) Minerals of South Africa. The Geological Society of South Africa, 206 pp. - Jiménez R., Jordá L., Jordá R., Prado P. (2004) - Madrid: la minería metálica desde 1417 hasta nuestros días. Bocamina, n°14, pp: 52-89.
ⓘ Garpenberg Norra Mine (North) ? S. Ansermet, 5th International Conference "Mineralogy & Museums", Paris, Sept. 5-8th 2004, Bull. de Liaison de la Soc. Franç. de Minéralogie et Cristallographie, 2004, Vol 16, N°2. ⓘ Christmas Mine (Red Bird shafts; Inspiration Mine; Hackberry shafts) ? Anthony, J.W., et al (1995), Mineralogy of Arizona, 3rd.ed. : 264; Williams, S.A. (1976), Junitoite, a new hydrated calcium zinc silicate from Christmas, AZ, Am.Min. : 61: 1255-1258. Pemberton, H. Earl (1983), Minerals of California; Van Nostrand Reinholt Press: 443. Januzzi, Ronald E. and David Seaman (1976), Mineral Localities of Connecticut and Southeastern New York State and Pegmatite Minerals of the World. The Mineralogical Press, Danbury, Connecticut: 273. Mineralogy of Michigan (2004) Heinrich & Robinson; Rocks & Minerals 84:298-323. Rocks & Min. :58:111; Tschernich, R. (1992): Zeolites of the World, 66; Rocks & Minerals 84:298-323. Betancourt, P.P. : The Picking Table:30(1):8-10 (1989); Palache(1935):115; Dunn(1995):Pt4:492-493. J. Kolic, C. Lemanski, Jr. Rocks & Min. : 62: 150-159. Chamberlain, Steven C., Vandall T. King, Donald Cooke, George W. Robinson & Wayne Holt (1999), Minerals of the Gouverneur Talc Company No. 4 Quarry (Valentine deposit), Town of Diana, Lewis County, New York: Rocks & Minerals: 74(4): 236-249 (July, 1999). Rocks & Min. : 21:278; 23:914-915. Meier, B. M. and Kearns, Lance E., 2011, Chemical Characterization of Northern Virginia Apophyllite, (K, Na)Ca4Si8)20(OH, F).8H2O, 38th Rochester Mineralogical Symposium Progran and Abstracts, p. 25--27.